We are no closer to Lilith’s reveal, but her demon Owl servant is slipping up enough that it may not be too much further away. With Lilith’s Owl bringing her sacrifices, she has little reason to step outside and expose herself. But with Clary and Isabelle hot on its trail, maybe she needs to take a step forward to protect her ritual from being ruined again. 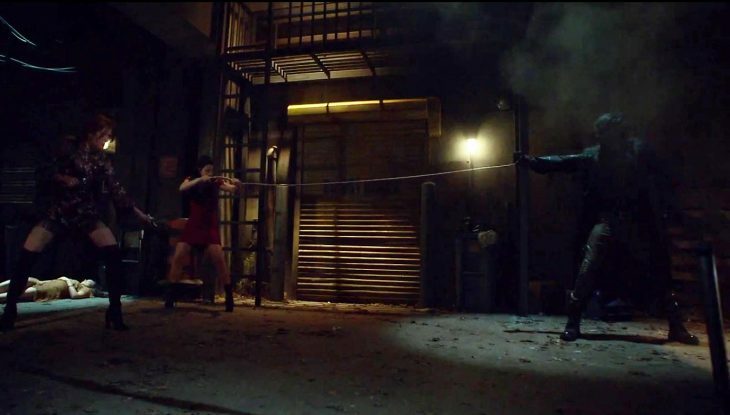 One of the Owl’s victims managed to get away, compelling Isabelle, Clary, and Jace to follow her and ensure her safety. While keeping track of the victim, Jace begins to hallucinating Jonathan’s presence, rendering him useless. While he was gone, a showdown between Isabelle, Clary and the Owl breaks out. Clary manages to put up a good fight and chases it off as she invokes Jonathan’s name. Off-screen, the Owl is revealed to have Jace’s face, but I doubt it’s him. We’re dealing with a demon here; it could probably take on any look it wants. Simon’s quest to find out what mark the Seelie Queen gave him seems like a lost cause. Luke has to kick him out of pack territory, and despite Maia’s help, they’re no closer to figuring out it’s meaning. A particularly lousy meeting with Raphael has Simons scared he’ll hurt others– even if they mean him harm– and is ready to jump into the Seelie Realm. But the realm is closed off to him, and he’s no closer to answers than where he’s started. Maia is a strong force willing to remain by his side; he is fortunate to have her. Someone worse on his luck than Simon is Raphael. His sister passed, and the newly turned vampire he has been holding is on the loose. He just can’t catch a break. Even though Isabelle offered her support, he’s too unstable to trust himself around her, sending her away before both get hurt. Raphael needs help, and maybe if he wasn’t so overwhelmed he’d be able to calm down long enough to reach out to Simon. 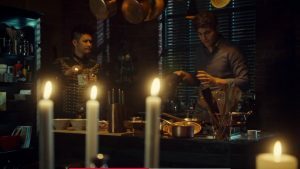 The high point of this episode was Alec and Magnus’ dinner with Maryse. While it was anticipated to be a disaster, Maryse seems free and joyful. She reveals she’s been charged as a Circle member and will be deruned and cast out. It’s one of the worst punishments a Shadowhunt can face, but she’s got a positive outlook. In fact, she thanks Magnus for being a good partner to her son, making me a little teary-eyed. As someone who started off a nightmare of a woman, she’s grown and learn to accept Alec and Isabelle with all their faults. She’s raised good children, and she finally recognizes that. I hope they don’t dangle Lilith’s reveal too much longer; I know it’ll make their encounters more fun if they know how bad it can get. In the meantime, there are a few developing storylines that are keeping me far more engaged than a possible Jonathan revival.